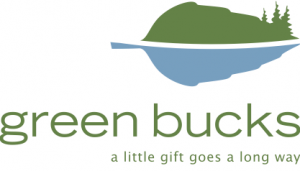 Adventure Sports Week is proud to partner with Green Bucks to promote and contribute to the funding that is used to build, maintain and protect the hiking and biking trails, watershed restoration, wildlife protections, environmental stewardship programs and forest health of the Lake Tahoe basin. Adventure Sports Week is proud to partner with the Sierra State Parks Foundation. Tahoe-Truckee area California State Parks are unique treasures. We provide critical program, volunteer and financial support to our valued cultural and natural resources. Because of our work, our parks will continue to be places of education and inspiration for generations to come. $1 of registration from select events goes towards specific projects in the Tahoe California State Parks. Adventure Sports Week is proud to partner with Girls On The Run who believe that every girl can embrace who she is, can define who she wants to be, can rise to any challenge, can change the world. Can.